Located 30 kilometers southwest of Amman, Madaba is a pleasant, easy-going little town known for its breathtaking 6th-Century mosaics. 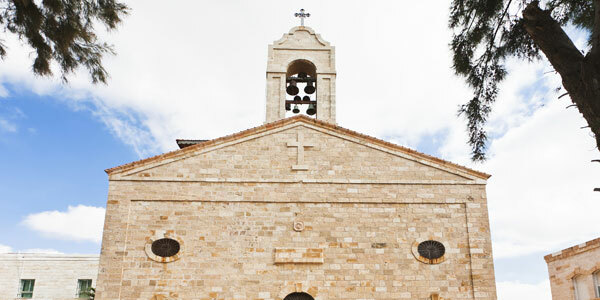 The perfect launching point for exploring nearby holy sites, Madaba is proud of the tolerance between Christians and Muslims who live peacefully within the city. Citizens also take pride in the city's incredible collection of art, artifacts, ancient sites and unique dining options, which combine to provide a memorable experience in one of the world's most unique destinations. What are the best places to eat in Madaba? There are a great number of Falafel and Humus shops throughout Madaba. You can also find another popular local fast food, Shawerma, available from street vendors. Madaba also plays host to a number of casual and upscale dining venues. For a complete list, visit http://madaba.phpbag.com/Restaurant. Can I purchase alcohol in Madaba? Yes. In fact, the most famous wine of Jordan comes from Madaba. You will find numerous alcohol shops throughout Madaba, and most restaurants and hotels serve local wine. Since there are no alcohol shops in Petra or Wadi Rum, many travelers purchase their alcoholic drinks in Madaba.